I was a disappointment to my father who has had a lifetime of passion for the Internal combustion engine and anything that has motor. At 86 he still drives and owns four cars. While I have always appreciated technology, and had a small part in writing our National Curriculum document for this learning area, I preferred modes of transport where I was more physically involved. I enjoy walking, kayaking and cycling because of the health benefits and the greater ability to connect with the natural environment. 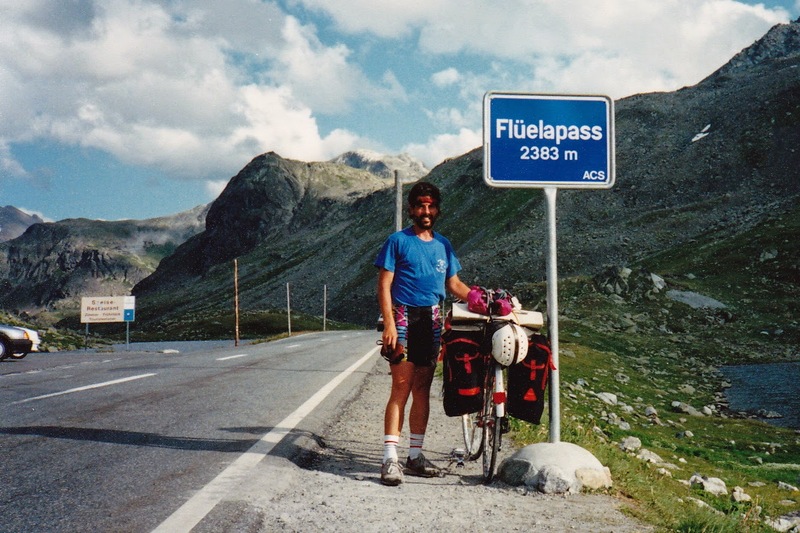 Cycling has been my main form of transport when exploring New Zealand and overseas. In 1989 a more youthful version of myself cycled the length of the European Alps and across Scandinavia. Some families talk about being a two car or four car family my family have a shed crammed full of bicycles and unicycles, my son is the unicyclist. My wife despairs when she sees another new bicycle appear (she is happy with her one) but my folding bike is no good off road, my town bike tows my bike trailer, my mountain bike is necessary for my “middle aged” off road adventures and my road racing bike helps me remember the glories of younger and fitter times. I am still on the lookout for a suitable tandem. I have followed the heated debates between car owners and cyclists regarding who has most right to use the road and I think it is good to remember how and why our roads developed. 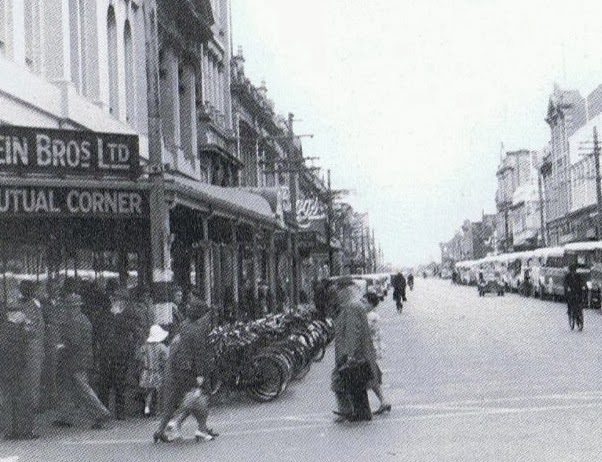 Invercargill streets were never designed for cars, they didn’t exist when surveyor John Turnbull Thompson created the first street plans. By the 1920s the roads were shared by horses, cars, trams and bicycles. 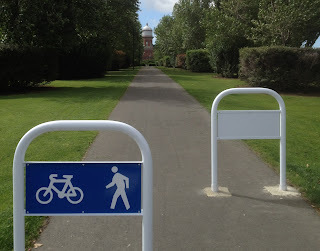 Because of its flat terrain in those days only Christchurch had more cyclists using their roads. 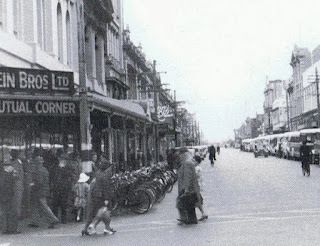 Even in the 1950s more people cycled to work than took their car (this is an image of Esk Street around 1953). Since the fifties we have experienced an evolution in our transport culture where cars now dominate, few children cycle to school and few secondary school students cycle any more. Around 9am and 3pm are two of the most congested times on our streets with school traffic and we now recognise that too many of our young people have weight and health issues and diabetes is a growing crisis. 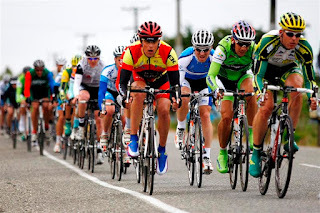 Even though bicycles have largely disappeared from our streets Invercargill is incredibly strong in competitive cycling and we have a number of world-class athletes. Cycling is now associated as something that is accompanied by lycra clothing and sweat. The Tour of Southland is New Zealand’s most prestigious road race, our covered velodrome was the first in New Zealand and we have great mountain biking tracks. 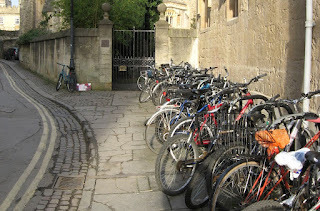 But I think we have lost something when we stopped regarding bicycles as everyday transport. Not all countries followed our traffic evolution and are now reaping the benefits. In the 1950s Holland understood the conflict between increasing car numbers and the safety of cyclists. 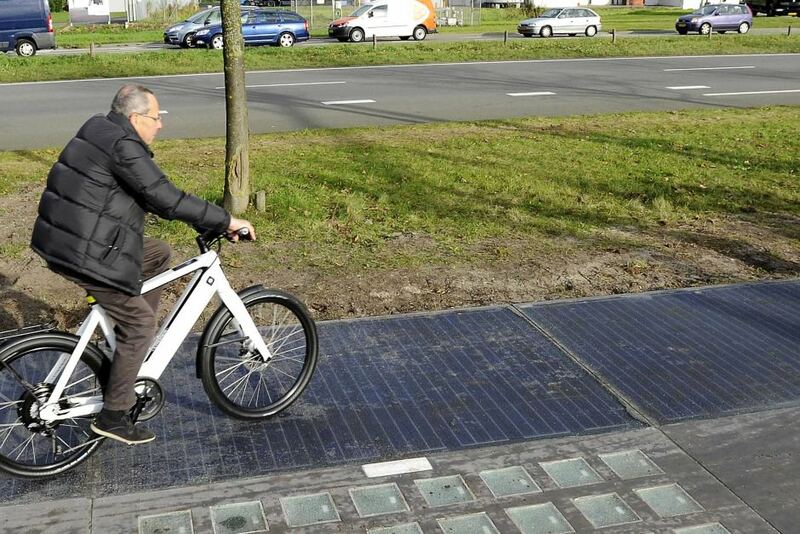 Rather than excluding cyclists completely they just developed their transport infrastructure to accommodate both. Although some expense and planning was needed initially it has helped enormously in removing congestion in town centres, kept retail areas compact (with fewer car parks needed) their people are healthier (New Zealand has the 3rd worst obesity rates in the OECD). The health benefits of children cycling are huge and making cycling safe to get around encourages independence at an early age. The amount of wasted time, energy and stress involved in getting children to school safely must be substantial if looked at across the country. 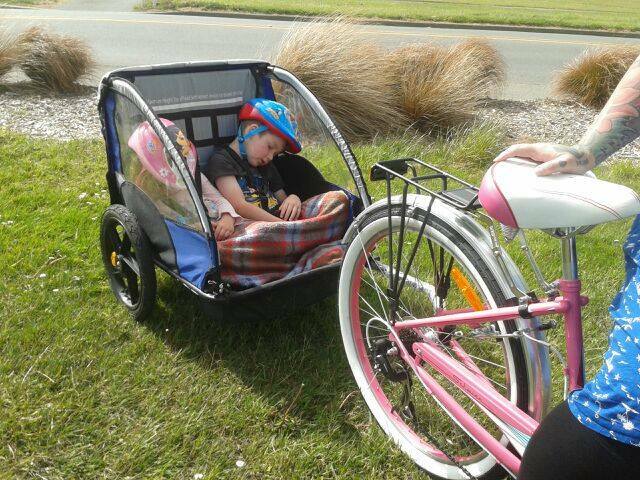 It seems odd that few transport planners consider children and their modes of transport into their thinking. Children riding bicycles and skateboards on footpaths, because they have no other choice, are considered a nuisance rather than celebrated for doing something physical that doesn’t involve a screen. What messages are we sending to them? Cycle paths should also be seen as an investment not an extra cost, they reduce the need to build car parks, they reduce the need for road maintenance, they reduce our health costs and in this case solar panels have been fitted and they have produced more energy than expected. 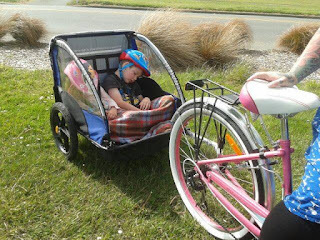 Some may consider cycling as an archaic form of transport and New Zealand is a more advanced country because of our reliance on cars, however I believe that we are culturally and economically backward and short sighted. Zurich is a culturally sophisticated city and is the economic or banking hub for Europe. There is hardly a car in the city centre. Even in the depths of Winter (and it is colder there) bicycles are everywhere. Zurich doesn’t have high rise car parking buildings they have multiple story bicycle parks. Many new office buildings in many cities are reducing their expensive basement car parking and providing bicycle racks and shower facilities. Why make extra time in your day to accommodate a spin class in a gym when you mode of transport to and from work provides your exercise instead. Cycling to work doesn’t have to be hard work and sweaty as those in Oxford in the UK have realized for over 100 years, it is just something one does to get around that is faster than walking and finding a park is never an issue. 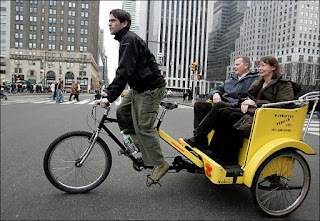 The old cycle rickshaws are being revamped as pedicabs around the world and are abundant in America, Europe and Asia. New Zealand is well behind the times with this versatile inner city taxi system and what a great potential earner for students and others who want flexible hours or have their own business with lower setup costs. I am currently looking for a business partner to start a similar service in Invercargill. 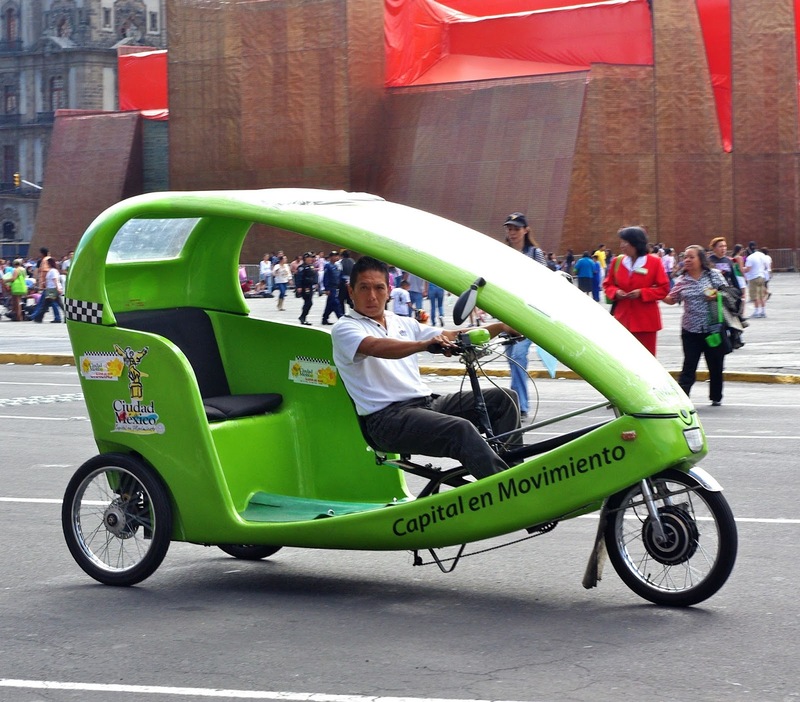 Pedal powered transport is not dated technology and there is a world of difference between a racing bike of thirty years ago, to one today. With light, strong materials like carbon fibre, more efficient gearing systems and even electric assistance, an old concept has been well and truly brought into the 21 century. My folding bike can easily get me from Wellington Airport in to the city centre in less than 30 minutes and easily beats a taxi over the same distance between 8-9am. Our current issues with foreign tourists, unaccustomed to our left hand system, could be partially managed in cities if we had cycling as an option. Many cities like Melbourne has seen the sense of getting visitors on bikes and not creating potential hazards in a car. 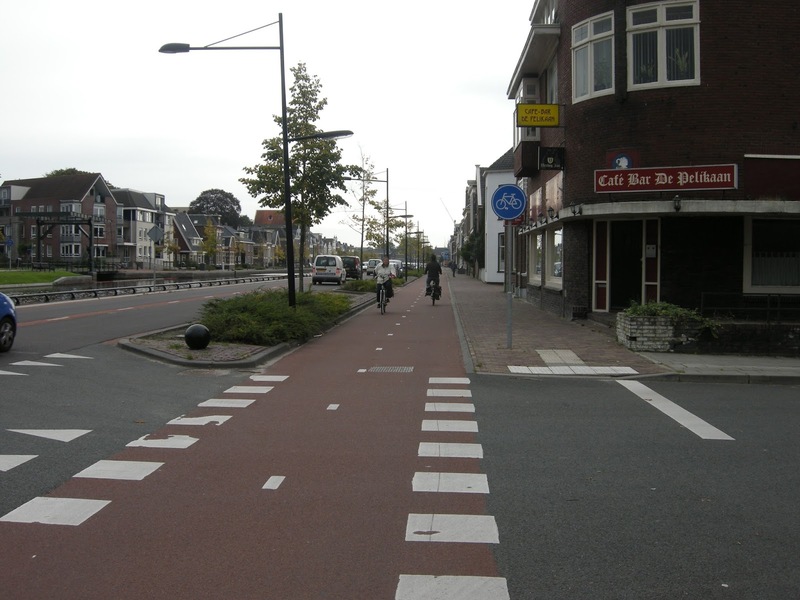 As a country we seriously underinvest in cycling, we spend billions upon billions on roads in an attempt to deal with the volumes of cars, many with one driver, without thinking of much cheaper and more logical solutions that are already being used successfully elsewhere. 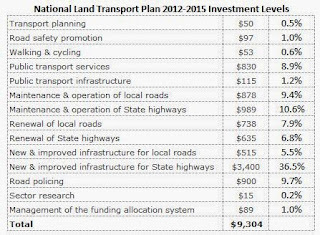 Most garages around New Zealand probably contain a bike, or several and yet only 0.6% of the land transport plan goes to cycling. The cycle trails around the country are a great investment, but what do our cycle tourists have to contend with when they arrive in our towns? 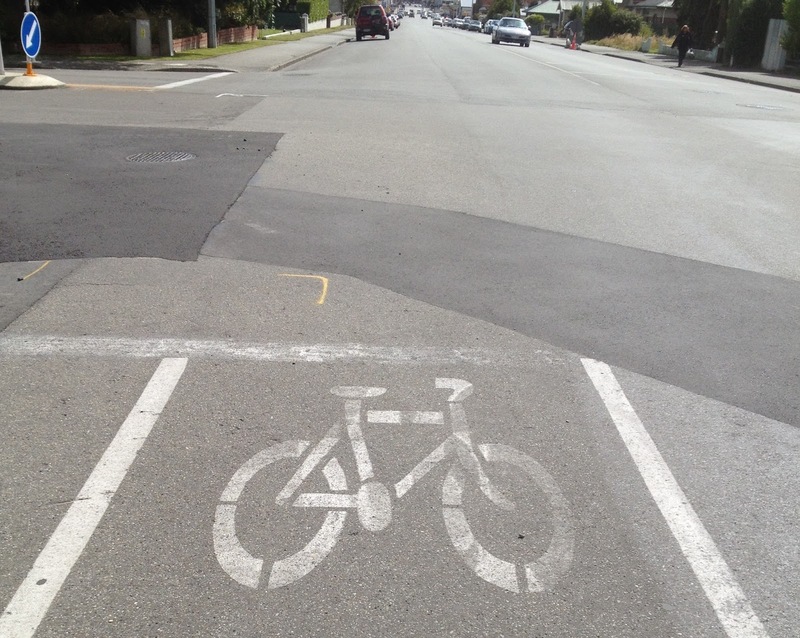 Over recent years we have had some tragic cycling deaths in Invercargill because the protections for cyclists are mainly painted white lines. Many lanes end abruptly in interesting places and in our street we have narrowed road configurations and speed bumps that seem to ignore what would happen if a cyclist and car arrived at one at the same time. I wonder how many parents would feel comfortable cycling around the centre of town with children. Painted lines just don’t seem to provide a secure barrier. 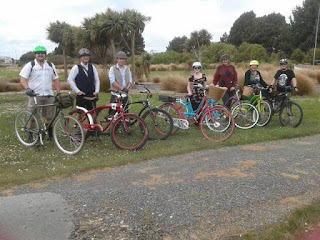 Ride Cycles, an Invercargill bike shop, sell a line of bikes designed for relaxed and comfortable transport and they have started Tweed rides for those interested in social, non lycra cycling that often involves refreshment stops. Any outing is limited to safe routes that take them out of the city centre. So what are the solutions? Invercargill has more potential to become a city for cyclists than most in New Zealand. We are flat, we have wide streets, we have a long cycling history and we already have seen the benefits of celebrating Burt Munro’s motorcycle. 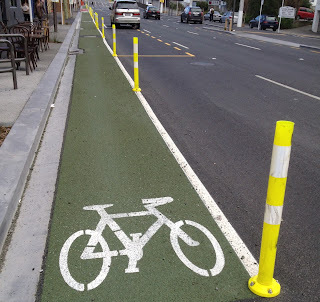 Wellington has made a start by making cycle lanes more visible and creating the illusion of a barrier. Imagine if you can the potential of a bicycle festival that could accompany the tour of Southland. 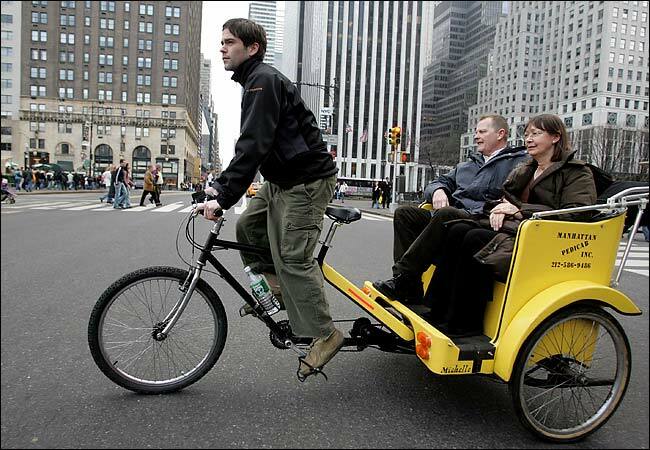 We could have family tweed rides, parades, unicycle competitions (look up You tube for unicycle stunts and dancing), pennyfarthing rides, pedicabs, a tandom triathlon, sightseeing trips and cargo bikes around the city. Many of these could have an on going presence throughout the year and we could again lead New Zealand as a city of cyclists. 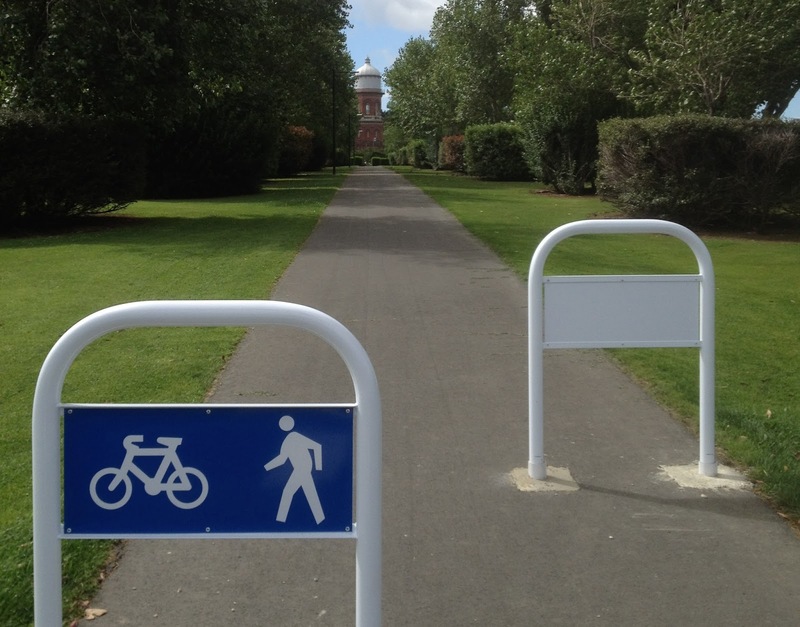 Just to end, if you are a reluctant cyclist and want to experience the joy of cycling in a leisurely way, try riding through our greenbelt and Queenspark. 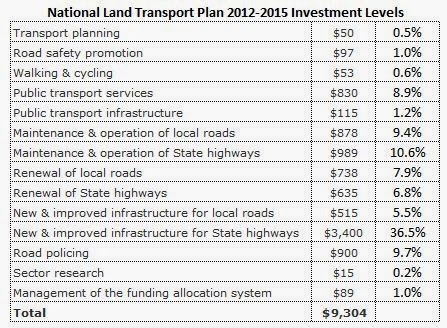 That is a little more indeed, but if you look at the overall transport spending it is still a very small %. The Government talks about the money involved to make it sound substantial, but spreading that over all urban centres, it is still a relatively small amount. It has cost them far more to prop up Solid Energy. The Mayor of Invercargill was present for the talk and the reason I gave it was to try and shift local body thinking, you are right they should have applied for the funding. "The environment can handle more"